See all of the Upcoming events! Holly Trace subdivision is located in the city of Simpsonville, South Carolina, within a short driving distance to the city of Greenville. Our residents enjoy the convenience of being able to have easy access to a multitude of local services and activities, all within a short drive! We are a “tree loving” community! 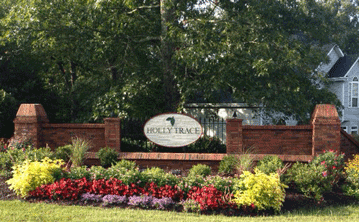 Holly Trace is known and loved for its dense, natural setting. The homes are composed of a variety of structures. All are nestled in treed lots, which creates a serene “country” feeling...right in the heart of Greenville County. We also offer the use of a spacious clubhouse and private pool area! We have a great clubhouse available for rental to all residents. The clubhouse is fully furnished and has a full kitchen for preparations. The french doors open into a beautiful swimming pool area. The pool is open to all residents and can be included in the clubhouse rental for special occasions. We are always interested in the concerns and opinions of the residents in our community. We are also continually looking for residents interested in volunteering to serve on the board, or to facilitate in other areas--and help keep Holly Trace a wonderful place to live! Holly Trace DUES Notice . . .
Make check payable to Holly Trace HOA and either mail or drop off to HOA mailbox at 118 Circle Slope Dr. Please pay promptly to avoid late fees.